Apps4Review.com | MUSHROOM MAYHEM- FUN IN FUNGUS! MUSHROOM MAYHEM- FUN IN FUNGUS! What’s the best refreshment for your mind if you’re bored, tired or not feeling good? I think playing an interesting game on your mobile phone is the best therapy you need? Isn’t it? Well, everyone has a different taste, but mine is playing fast-paced games on my device. I think that no other thing can replace it. Nowadays, there are so many gaming apps being launched in the market and “Mushroom Mayhem” is one of them. However, if you like eating mushrooms, this game will be a blast for you! Mushroom Mayhem has been developed by Rocket Life, Inc. 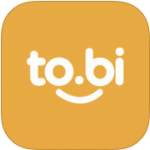 The app has been compatible with iOS 9.0 or any later version of the Operating System. Mushroom Mayhem is a fast-paced game inspired by the classic arcade favorites like Space invaders and Galaga. You know that Professor Frank Funguy liked mushroom very much and he wanted to make them bigger, bolder and tastier. But something went horribly, horribly wrong! Once you download the app, you can go through the controls and other settings of the game. You need to pay attention while playing the game because it’s a fast-paced game. If you divert a little from the game, you’ll lose it. However, you can win the game and beat other challengers. The game is not as tough as you think. Moreover, the Apple Game Center scoring offers you to compete against the world’s best scores. There are different levels of the gameplay. As you go further, the difficulty level of the game increases. The gameplay is very easy and simple to play. You just have to tap under the bus to fire and drag your finger to move. Pilot your Rocket Microbus through space with a single finger. Then hold down your finger to fire continuously (Autofire). The app offers free iMessage stickers of fun (gus) to share with our friends. Now, what is the basic strategy of the game. You’ll be provided with a bunch of mushrooms and you need to shoot them all defending yourself. There is a specific energy level of your character and if you get hurt by the mushrooms then the level will be deducted. It means your energy will be reduced. That’s why you need to protect yourself from the mushrooms. You can also collect power-ups, from the mushroom munching Space Pig to the Hyper Zap. The more mushrooms you’ll kill, the more points you’ll get. If you want to get bonus points, bounce radioactive glop into buckets. Overall, the game is quite interesting and super-addictive. The graphics and the designing of the app is really awesome. They are quite natural and the colorful characters mix with retro sound effects and modern music is such a big achievement. The characters of the game are really very sweet and cute. This game will seriously blow your mind and you’ll become a big fan of it! So collect as many points as you can in the challenge levels! Go for it now! Pros: easy to play; super-addictive gameplay; full of fun and entertainment; different levels to play; brilliant graphics; cute characters; nice storyline; free to download. 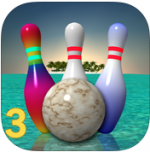 Bowling Paradise 3 – With Lot of Fun !!! Goal Defense – Take that ‘Wierdy’ Down, Buddy !